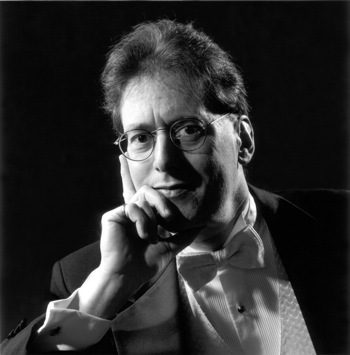 If it seems a bit finicky to withhold the last half-star in grading this otherwise nearly flawless concert, I do so only to make the following point: that Robert Levin does not need to try so hard to connect with his audiences. 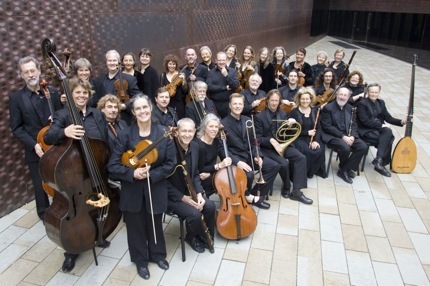 It was a stunning opener for the Philharmonia Baroque's thirtieth-anniversary season, one in which Mozart's music sparkled with the vivacity and chamber-ensemble texture for which Nicholas McGegan's band is renowned. And Levin acquitted himself expertly, as usual. But there were a couple of moments in which both Levin's and McGegan's expressive zeal devolved into mugging, and I suddenly felt as though I were being subjected to the banal explanation of a punchline. Here at least, in the Philharmonia Baroque's hometown, Levin need not feel compelled to proselytize for irreverence and humor when it comes to Mozart. McGegan's own gregarious, animated conducting persona—like a character out of Dickens, or Dickens himself for that matter—is utterly familiar to Bay Area audiences, and his players' approach to the wit in Mozart has become axiomatic. At times, I was concerned that the ensemble's good cheer might render the minor-key music which dominated the concert's first half somewhat affected. But McGegan was able to channel a Dickensian—if not a fully Mozartian—demonic. The chiaroscuro of the three entr'actes from Thamos, King of Egypt (K345) was deftly handled, the orchestra's ensemble reliable as ever. When Levin took the stage for the Concerto for Fortepiano in d minor (K466), the opening hurried along ominously, and the first movement's second theme showcased Levin's sympathy with the orchestra in a series of exposed, detached chords that were perfectly synchronized. The second-movement Romance was lyrical, the finale crystalline in its fury. Levin is famous for having reintroduced the practice of improvising cadenzas in his concerto performances, and the improvisatory pyrotechnics on this night did not disappoint. His cadenzas were not merely engrossing, but also thematically apt and fluent in the harmonic conventions of Mozart's time. If the first and third movements' cadenzas seemed to draw on much the same harmonic material, this is no slight to Levin's powers of invention, but simply registers the highly circumscribed language within which cadenzas (and the cadential progressions they elaborated) were constructed. As for expression, Levin certainly lived up to the cadenza "rule book" as laid out by Daniel Gottlob Türk in 1789, particularly Türk's instruction to convey a dream-like sense of "ordered disorder." The moment following the third movement's cadenza was the only one to leave me cringing, and not even for musical reasons. The orchestra makes an abrupt transition to the parallel major, during which the soloist is silent. Levin telegraphed his role as a delighted listener here, breaking the fourth wall to gape at us in the audience in faux-naïf shock. During his subsequent iteration of the new theme, he rocked his head from side to side while grinning and loudly tapping his foot. Granted, this closing theme is something of a Singspiellied, but I resented somewhat the descent into clowning after such an intelligent engagement with Mozart's music. The second half of the evening began with an entertaining party trick: during the intermission, the audience had been invited to submit themes on scraps of mansucript paper, three of which Levin then selected at random as the raw material for a fantasia. One could fault Levin for hucksterism, but then one would have to fault Mozart as well, who was a champion executor of such tests. And there's really no other way for Levin to practice public improvisation than to do it. After a dazzling interweaving of the three themes—one of whose tonal ambiguity Levin resolved in a period-authentic way—the soapbox came out again, as Levin warmly urged the audience to support the kind of live music that's "about danger, not about cookie-cutter competitions that are killing classical music." The audience cheered, but it felt a bit like preaching to the choir. The other Levin offering on the program was his orchestration of the Concerto Movement in G major from the Nannerl Music Book. The Concerto Movement was unattributed until last year, when a researcher at the International Mozarteum Salzburg attributed it to the seven-year-old Mozart, based largely on stylistic grounds. Whoever is responsible for it, the movement is a charming flurry of passagework, and a small ensemble from the Philharmonia executed Levin's imaginary ritornellos with appropriate modesty. McGegan then leapt from Mozart's "first" keyboard concerto effort to his last symphony, the "Jupiter" (K551), to close the evening. The first movement's dynamic interplay between the first violins and cellos seemed to be McGegan's focus, while the woodwinds proved the radiant stars of the Andante Cantabile. McGegan was skillful at conveying a sense of dramatic confusion in the development sections of each movement, although occasionally his play with obscuring the meter allowed the ensemble to come a bit unglued. In the closing movement, however, that drunken-staggering character found its best use: in that truly unmoored section of the recapitulation, the passage with the dissonant series of modulations by tritone. While McGegan beat the first iteration of the fugue with an overly rigid, metronome-like character, reducing Mozart's subject to an academic exercise, the closing double fugue breathed with a warmth that seemed to burst forth from the concert hall. Photo Credits: Randy Beach (top); Herb Asherman.